Okay I'm here, now what? In our previous posts we told you about a young wild horse mare, that was pregnant, that we had managed to rescue from the horse capture individuals. She was named “Kit” by Dan and Jack. 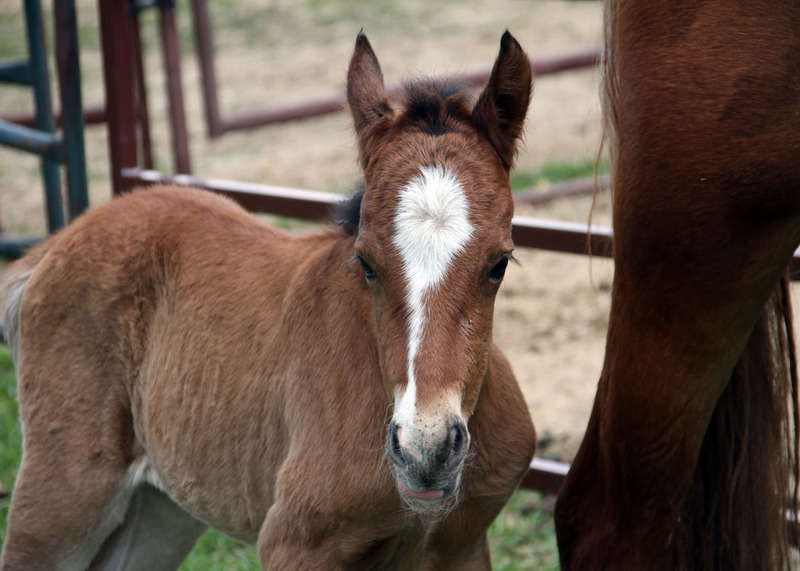 We knew she was pregnant but didn’t know how far along she was and being her first foal with all that she had been through how things would turn out. Lo and behold on the morning of May 26th, Kit presented to the world her new colt. As you can see, both mom and son are doing extremely well. 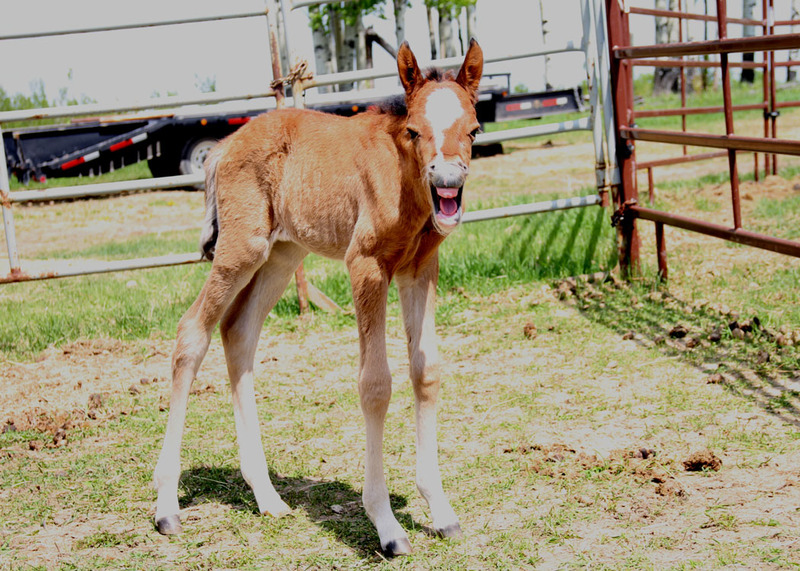 As yet the colt has not been named but has been imprinted so well that humans are just part of his world and he is not afraid to approach and be loved. Both will be up for adoption together when the young one and Kit are strong enough to undergo another change in their worlds. We hope to find them a very loving home. 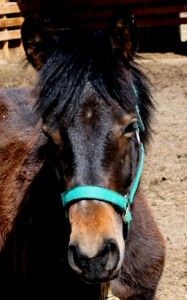 Right now all of our other young rescued wild horses have managed to find a home except for Jordy, a young filly. 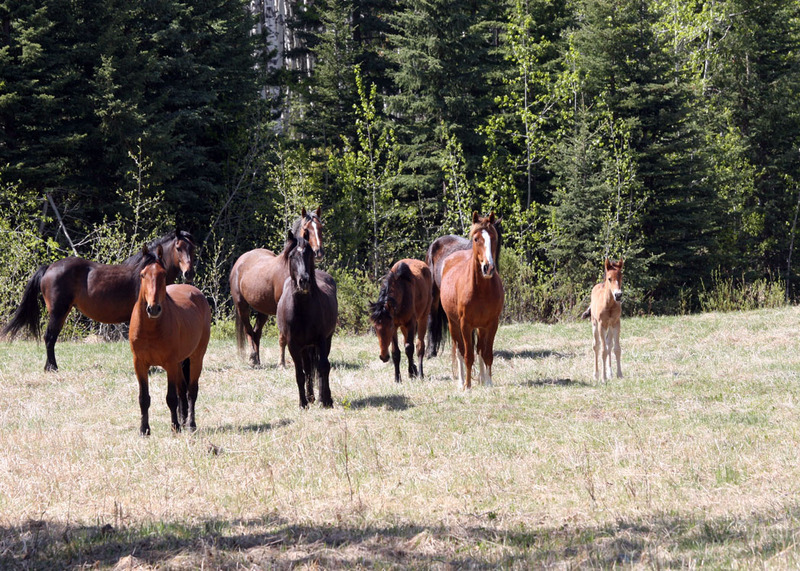 We want to thank all the adoptive parents of the other horses and wish them well as we know that they have brought into their lives extremely intelligent and loyal horses that will fill their lives full of joy and happiness. Out in wild horse country the herds are rapidly starting to recover from the hardships of this past winter. 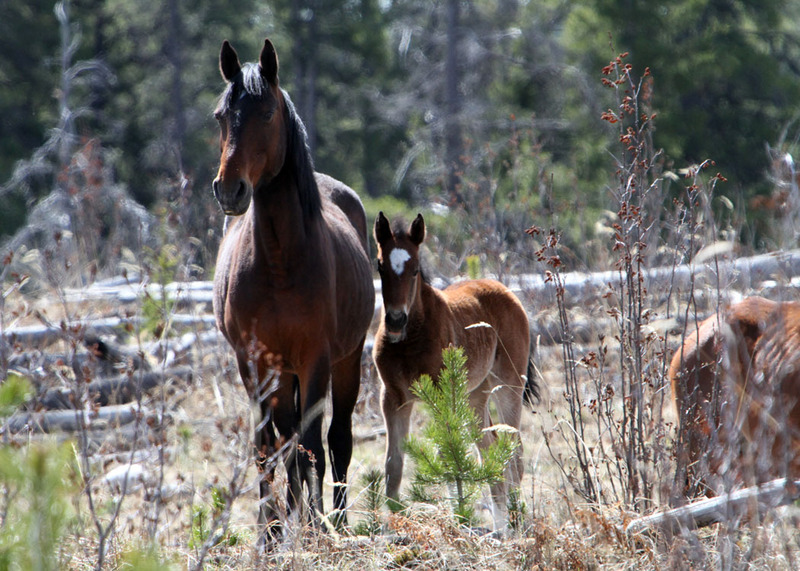 Many of the herds have foals with them now and as far as we can see these babies are all doing well. 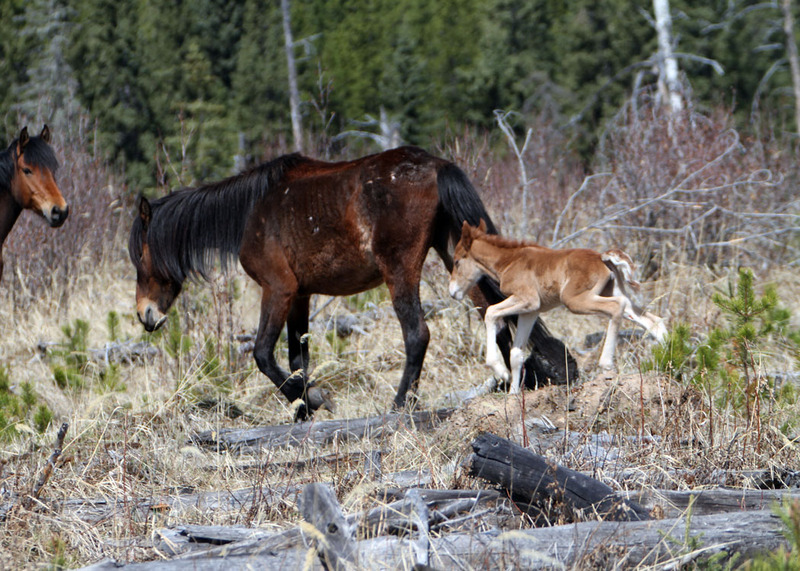 It is important to remember that the life of the wild horses can be a harsh and difficult one. With the help of the warmth of the summer to come and the grasses that have grown quickly this spring, the herds and the new ones it appears will have a great year. 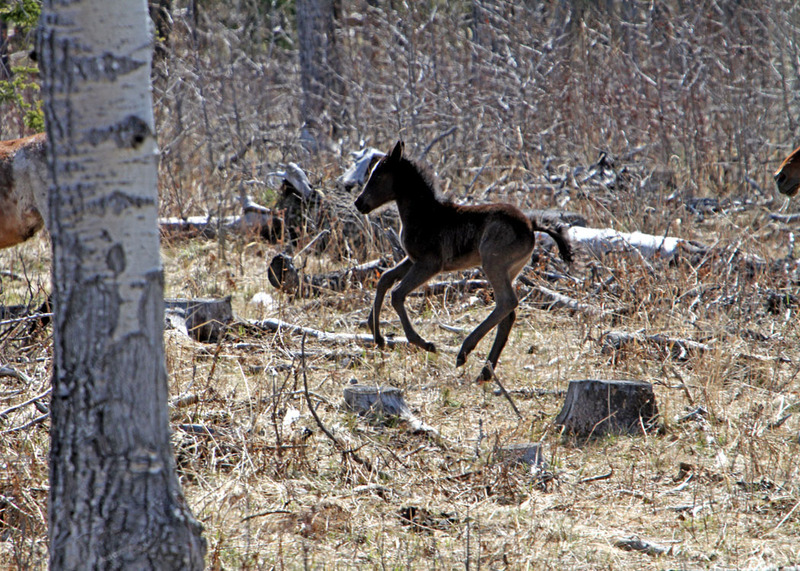 It is amazing in our journeys into their habitat to watch these new born foals be able to follow their dam through terrain that is hard for a human to walk through. It is fun to see how they can manoeuver and leap over the debris of the meadows they feed in. 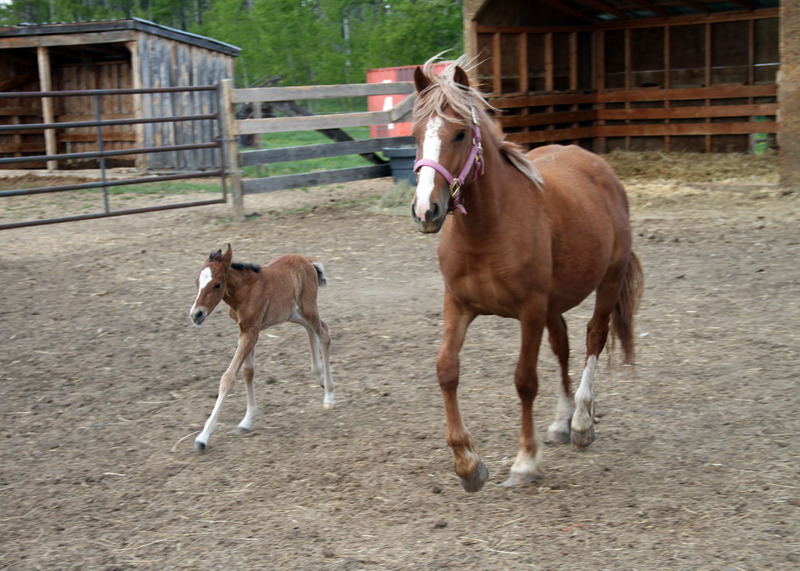 The young filly above is an example of one a couple of days old that raced after the herd with appears to be no difficulty. Thanks to all our members and supporters who continue to help us try to save these beautiful creatures.